I went through the ghost gym (pc, omicron) and when I got to the end, and challenged Graham I got an error message. I thought maybe it was my Magmortar being laggy in send out, but it goes for all my pokes. Here is the message, I appreciate any feedback. Both of you in costume ? You cant have one on during important battles yet. Please tell me what books you like. I hope you are having a good day. 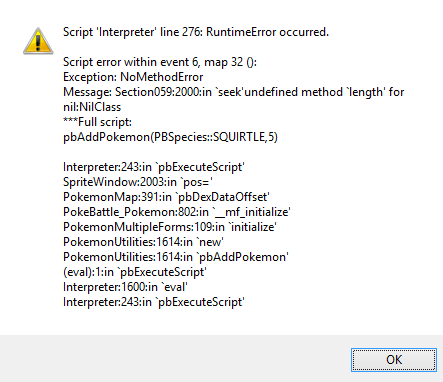 So I get this error message when I try to get my first pokémon. Can anyone help me? » Who are the BIG names in PotO?